Anna Law holds the Herbert Kurz Chair in Constitutional Rights. She is a specialist in US constitutional law and US immigration law and history. Her publications appear in both social science and law journals and investigate the interaction between law, legal institutions and politics. Her first book, The Immigration Battle in American Courts (Cambridge University Press 2010), examined the role of the federal judiciary in U.S. immigration policy, and the institutional evolution of the Supreme Court and U.S. Courts of Appeals. Law is a former program analyst at the bipartisan, blue-ribbon United States Commission on Immigration Reform. She has shared her expertise with the U.S. Senate Judiciary Committee, Department of Homeland Security and National Science Foundation. In 2007, she appeared as a recurring narrator with other academic experts and two Supreme Court justices in the PBS award winning documentary. 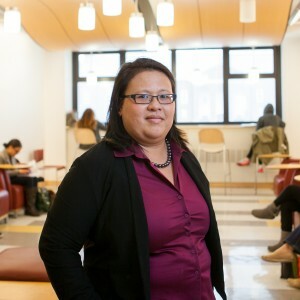 Her current projects include a book on immigration federalism and slavery, and National Science Foundation funded research with Co-Principal Investigator Karen Musalo of UC Hastings Law on gender based asylum claims. My current research is a book project on the influence of slavery on migraiton policies, from the colonial period to 1882. I am also working on NSF funded research about gender based asylum claims with co-PI Karen Musalo of UC Hastings Law school. My first book, The Immigraiton Battle in American Courts (Cambridge University Press, 2014) was about the role of the federal judiciary in immigration policy. It is also a study of how the Supreme Court and the US Courts of Appeals' relationship to each other, missions, and functions, have evolved over time. A book about the role of the federal judiciary in US immigration policy. The book also traces the evolving relationship, role, missions, and functions of the US Courts of Appeals and Supreme Court. I was a core narrator in episodes 1, 2, and 3 of a documentary series on the US Supreme Court. The award winning series chronicles the history of the high court from its inception to 2000 and the Bush v Gore election. A conversation on Morning Edition about the origins of the Diversity Visa Lottery that Trump wants to terminate. The journalist interviewed me and others about the legislative origins of the Diversity Visa Lottery which is now under attack by Trump. The blog post reviews why getting rid of birthright citizenship in the US would be difficult and why even if it was done, the move would not reduce undocumented immigration. A short article summarizing my academic article on the legislative origins of the Diversity Visa Lottery that was originally meant to benefit the Italians and Irish. A blog post analyzing the use and misuse of Obama's deportation statistics.